Portsmouth will play host to 20,000 people who are set to take part in the Simplyhealth Great South Run this weekend. With four events across two days including the world's leading 10-mile run, there will be something for all ages, abilities and even Canines - in the south's biggest running event. Now in its 29th year, the Simplyhealth Great South Run on Sunday starts and finishes in Southsea and features a fast and flat course that celebrates everything that's great about the city. Lizzy Yarnold, Britain's most decorated Winter Olympian, will be the event's honorary starter. Lizzy, claimed her first skeleton Olympic gold medal at Sochi in 2014, after which she was made an MBE in the Queen's Birthday Honours List and retained her Olympic crown in Pyeongchang earlier this year. 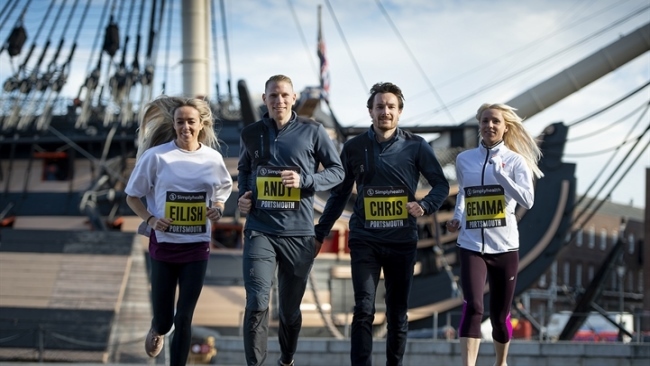 Participants are given special access to run through Portsmouth Historic Dockyard, passing the famous sights of HMS Victory, HMS Warrior and the Mary Rose Museum. Chris Thompson is gunning for a Simplyhealth Great South Run first when he defends his title at the ten-mile race in Portsmouth at the weekend. The 37-year-old has won the last two races on the south coast, and victory on Sunday will make it an unprecedented hat-trick as he lines up for the seventh time in the famous race. No athlete has won three consecutive Great South Runs - and only Gary Staines has won three in total in the race's 29-year history. Also lining up in the men's race is 2012 Olympian Scott Overall, Libya's Mohammed Hrezi and Euro XC team bronze medallist Alex Teuten. Another athlete aiming for a repeat performance is Gemma Steel, who will return to the South coast a year on from her win in the 2017 staging. The Charnwood 32-year-old tasted victory in the Bank of Scotland Great Scottish Run 10K three weeks ago and represented England in the Commonwealth Half Marathon staged in Cardiff last week. Steel will go up against two distance running heavyweights in Steph Twell and Jo Pavey. Pavey is no stranger to Portsmouth having won on two occasions in 2006 and 2012. The hugely-experienced Olympian is still going strong at the age of 45 and will be among the contenders for the race. Making her 10-mile debut will be European medallist Eilish McColgan. The daughter of two-time Great South Run winner Liz has not raced further than a 10K in her career to date. The thousands of runners will be entertained by 16 music and cheer points across the course that will packed with everything from live bands to charity buses every half a mile. More than 75 charities are also involved in the event, with runners raising £3.5 million for charitable causes in 2017. Among them is the 17-year-old sister of murdered Fusilier Lee Rigby. Courtney is taking part in her longest ever running event for the Lee Rigby Foundation, set up to support veterans and victims of British terror attacks. Boxer Kate Farley is also set to complete her longest ever distance by walking the final mile of the Simplyhealth Great South Run. Kate, who has Cerebral Palsy and became an internet sensation when a video of her boxing on her knees went viral will be aided by a walker and will be supporting the charity Superpeople, which she co-founded. The event is shown live on Channel 5 from 10am until 12noon and will be presented by Radzi Chinyanganya and Helen Skelton. The Simplyhealth Great South Run has grown into a packed and inclusive weekend of sport, with four other running events taking place the day before on Saturday 20 October. For the first time this year, Saturday's events will also include the Simplyhealth Canine Run, the first of its kind in the Simplyhealth Great Run Series. One hundred dogs and their humans will take on a 2.5km course, starting and finishing on Clarence Esplanade, with 1500m European champion and recently qualified vet Laura Muir setting them on their way. 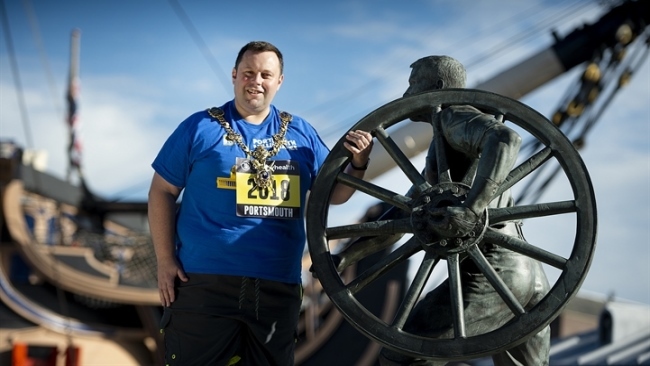 Joining them will be the Lord Mayor of Portsmouth, Councillor Lee Mason, who is taking on the 5k as part of his campaign to encourage the city to eat better, move more and help others. The Lord Mayor will also be among the honorary starters of the 10 mile event, setting thousands of people on their way on Sunday. Cllr Mason launched the Small Changes Big Difference Campaign after his election in May, after becoming concerned that his own weight was leading to health problems. The campaign aims to get the city to collectively lose one million pounds in weight, walk one million miles and volunteer one million hours during the Lord Mayor's elected term in office. He said: “I'm hoping that the small changes I'm making to my lifestyle will inspire others as if I can do them anyone can. “At the end of my year as Lord Mayor I'm really hoping to have made a lasting change for the city and help it to be a healthier, better place to live." 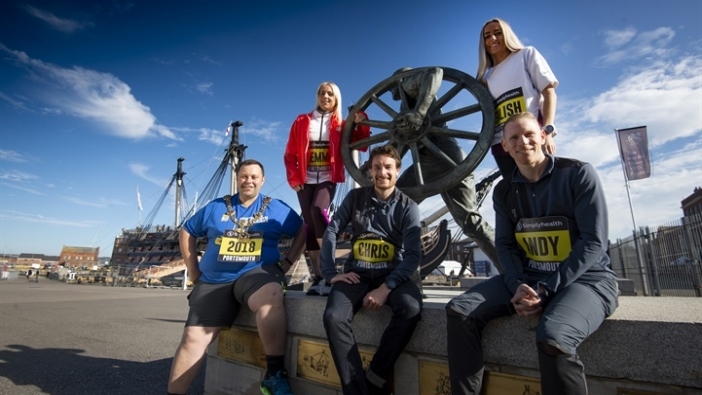 The Lord Mayor will form part of a team of ten runners who are supporting the Small Changes Big Difference Campaign, pledging to lose weight, move more and volunteer their time. Then thousands of children will line up on Clarence Esplanade to take part in the Simplyhealth Junior and Mini Great South Run, for kids aged between three to 15 years old.